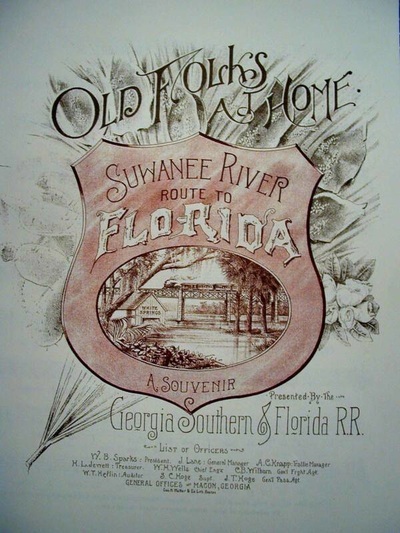 "You're a Grand Ole Flag"
NOTE: Since Foster's music was written and performed in a period that reflected racial prejudices and stereotypes, background will need to be presented about the time period and minstrels. 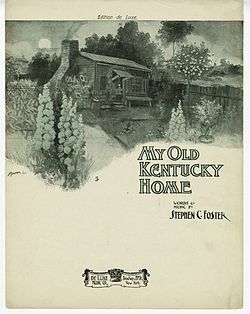 Stephen Collins Foster was born in Pennsylvania on the 4th of July. He is known as the “father of American popular music". 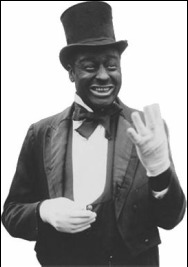 Foster was a songwriter known for his parlor music and “blackface” minstrel music. 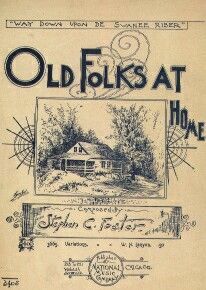 In the old days, a parlor was a living room, and minstrels were traveling performers who often blackened their faces with theater makeup. 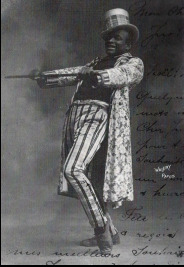 This type of performance continued into the early 1900’s. "Oh! 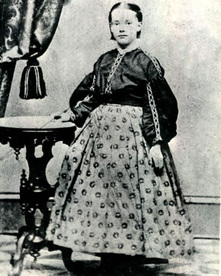 Susanna" became an anthem of the “forty-niners” of the California Gold Rush in 1848-1849. 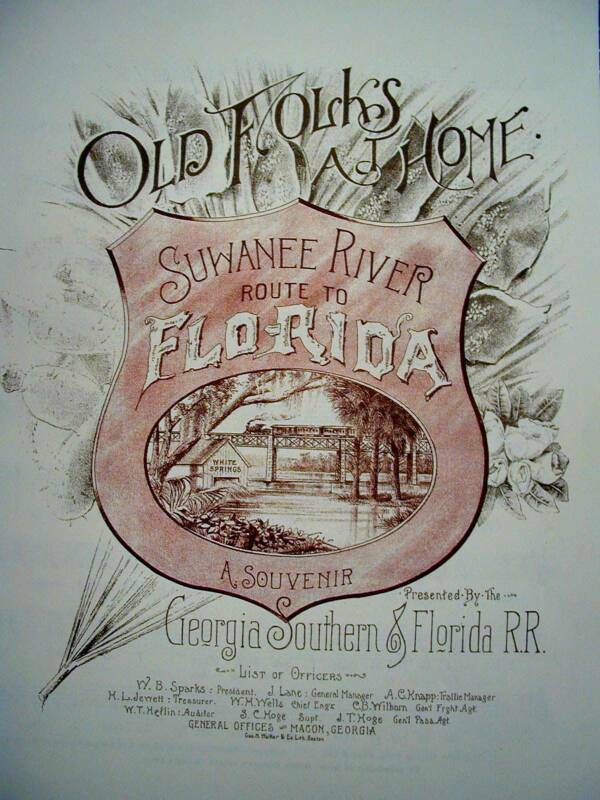 Like other Foster songs, it became an important part of our American heritage. Foster didn’t have much formal music training, but he had a great gift for writing good melodies. As a son of a middle-class family, he loved to read and became a literate, well-educated person. 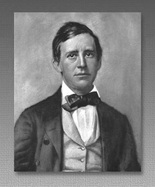 Stephen Foster learned to blend the light-hearted minstrel songs and the more respectful parlor songs of the day, such as Beautiful Dreamer and I Dream of Jeanie with the Light Brown Hair, named for his wife. He lived during the time when our country still had slavery. 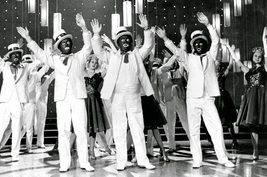 Since slaves were not allowed to perform on stage, this led white performers to blacken their faces with makeup for some of their acts. 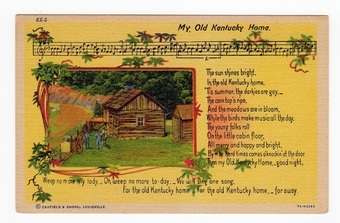 Many of his songs are called “plantation melodies”, simple songs that are deeply moving and sentimental, such as My Old Kentucky Home, which became the Kentucky state song. 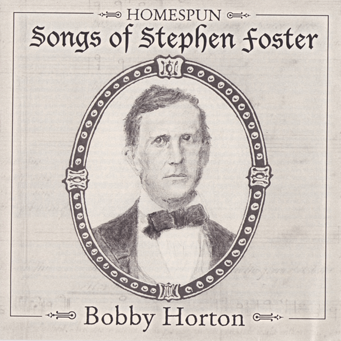 In his songs about the south, Foster tried to represent the characters in a kind way, to have them care for one another, and to convey a sense that all kinds of people share the same longings and needs for family and home. "Beautiful Dreamer" was a very popular song for many years, both for its lovely melody and the idea presented in the words. 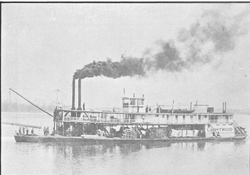 Listening Example: "Jeannie With the Light Brown Hair"
In 1846, Foster moved from Pennsylvania to Cincinnati to work for his brother Dunning at the Irwin & Foster Steamboat Agency. 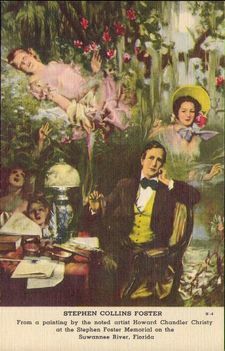 In 1848, Foster realized he could make money writing songs, so he left his brother’s business and started writing professionally. 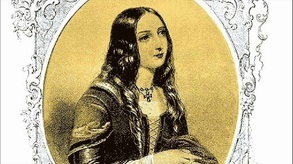 On July 22, 1850, Stephen married the love of his life, Jane Denny McDowell. 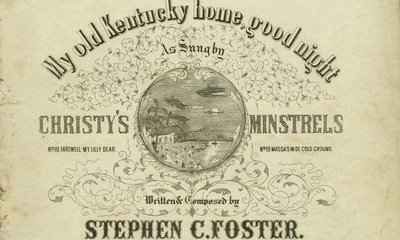 Stephen Foster wrote the song, “Jeanie With the Light Brown Hair” for his wife, Jane. In the song he sings of his love for her, as well as her beauty. 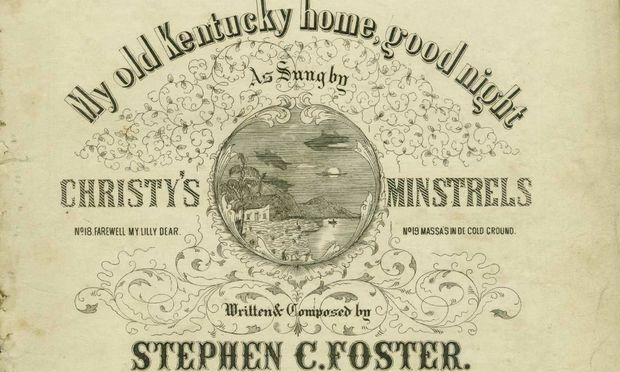 Musical theater halls were popular during the mid-1800’s, and Stephen Foster’s songs were great for song and dance routines. Performers did “soft-shoe” dances, which are like tap dancing, but without metal taps on their shoes. 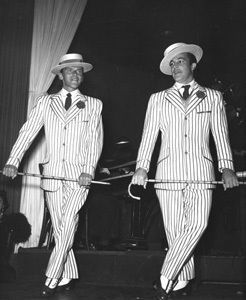 They often strutted across the stage with a cane and top-hat. 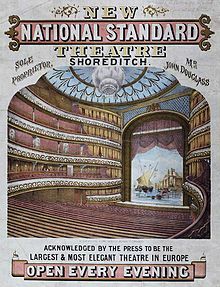 These acts continued to be performed in variety shows and vaudeville acts into the 1900’s. A favorite song was “Camptown Races”, named after the horse racetrack at Camptown, PA. 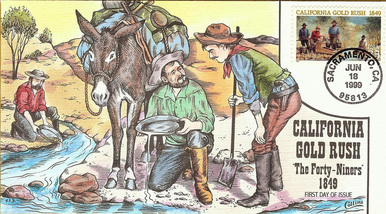 It contains silly phrases such as, “doo-dah” and “oh-de-doo-dah-day”. This fun, catchy tune is our listening example for today. And on the music culture page, you can watch a short cartoon of the song featuring Mighty Mouse. If you don't know who Mighty Mouse is, he was one of the cartoon superheroes of the mid-1900's. Foster wrote over 200 songs. 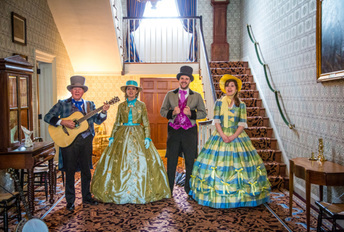 Many of his works remain popular and well-loved more than 150 years after he wrote them, and two have even become state songs. 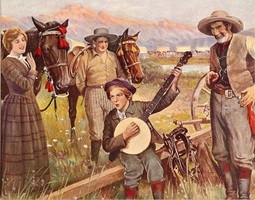 Because Foster’s songs are deeply rooted in American folk traditions, the best of them have become part of the American cultural heritage, and they are an important part of music education in our schools. 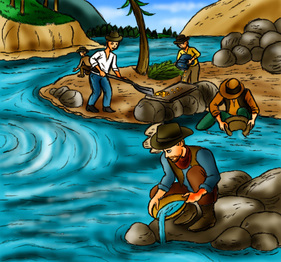 Watch this short Biography of Stephen's life.